Jamaican prime minister Michael Manley died twenty years ago. What can we learn from his democratic socialism? 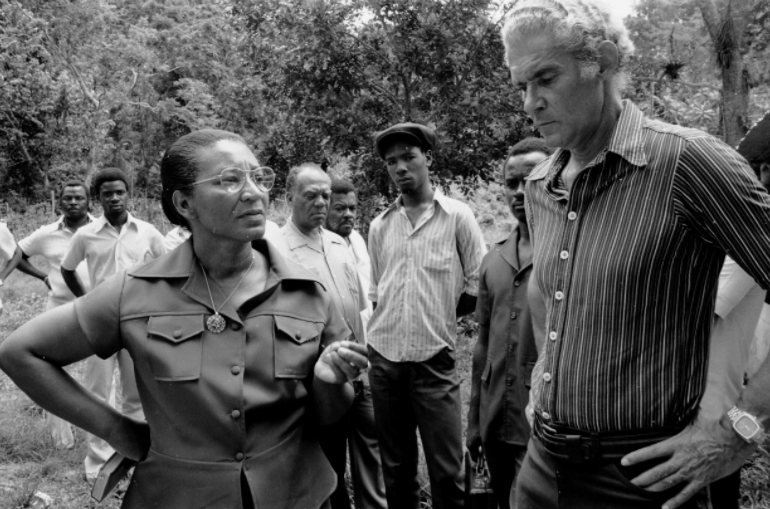 I’ll never forget the day Michael Manley died — March 6, 1997. A few hours later, my youngest daughter was born. As we celebrated her coming into the world, I paused to reflect on Manley’s leaving it and on the profound ways he helped define my life and that of a generation of young Jamaicans. Manley was born in Kingston, Jamaica, in 1927. His entry into local politics did not, in itself, come as much of a surprise. The second son of renowned barrister and anticolonial politician Norman Manley, Michael returned home from his studies at the London School of Economics in the early fifties to wrest the trade-union movement from the left wing, which had recently been expelled from his father’s party, the People’s National Party (PNP). Over the next two decades, he built the National Workers Union (NWU) into a formidable centrist force, sidelining the Left and effectively matching its rival, the Bustamante Industrial Trades Union (BITU), the labor arm of his father’s cousin and great adversary Alexander Bustamante’s right-leaning Jamaica Labour Party (JLP). So it wasn’t strange when, in 1969, six years after Jamaica’s independence and following Norman’s retirement, Michael became PNP leader, a position he would hold without opposition for almost three decades. What proved surprising, however, was the arc of Manley’s ideology. He began in the conservative space of a post-independence consensus, where the two dominant parties agreed to follow a pro-Western, foreign-investment development strategy underpinned by Westminster-style parliamentary democracy. But when he became prime minister in 1972, Manley heard his base’s powerful demands for a better life. During the tumultuous decade to follow, Manley would shift from mildly Fabian notions of social intervention to more radical democratic socialist positions. Internationally, he would abandon Jamaica’s traditional fealty to the West and seek out new alliances with Cuba, the socialist bloc, and the Non-Aligned Movement. Manley’s main policy achievements appear reformist and uncontroversial in light of the more radical experiments from the same period, most notably in Jamaica’s closest neighbor, Cuba. He initiated an adult literacy program through the Jamaica Movement for the Advancement of Literacy (JAMAL), launched free secondary and tertiary education, and created the National Housing Trust, which helped build housing for working people and pooled funds to provide them with loans at reasonable rates. His government passed laws to eliminate discrimination against children born out of wedlock, to allow for three months paid maternity leave, and to establish a minimum wage. He supported sugar workers’ cooperatives so that they could continue production on estates already facing closure in the beleaguered industry. Indeed, the pedestrian nature of these reforms — no rapid nationalization of the private sector; no significant land reform measures — coupled with the intense opposition that they faced, suggested the Jamaican elite’s deeply entrenched positions and the daunting challenges Manley and his supporters would face in trying to undermine the colonial moorings of the country. In 1973, Manley started renegotiating the taxes on bauxite, Jamaica’s main mineral export. Under previous governments, this valuable resource had been mined at ridiculously low rates, and a broad cross section of the local population greeted the “Bauxite Levy,” as it was known, with enthusiasm. The US State Department noted this development warily, but alarm bells did not go off until two years later. In 1975, Agostinho Neto’s Marxist-oriented Popular Movement for the Liberation of Angola (MPLA) led Angola to a hard-fought independence. Almost immediately, the South African apartheid regime invaded, supported by Neto’s domestic opponents. Without help from an outside force, his army could not hope to match South Africa’s modern and mechanized forces. Fidel Castro offered his aid, but the well-trained and equipped Cuban forces were an ocean away. Cuban forces needed to refuel on their way to Angola, and Manley, along with Forbes Burnham in Guyana and Errol Barrow in Barbados, agreed to provide landing bases and diplomatic cover for the Cuban forces. Washington objected, and Henry Kissinger himself came to Kingston to tell Manley to at least remain neutral. Manley, in a historic decision captured forcefully in his book Struggle in the Periphery, declined Kissinger’s request and stood firmly by Cuba on the basis of Jamaica’s long-standing opposition to apartheid and its own brutal history of slavery and colonialism. The Cuban effort turned back the South African advances and years later its victory at Cuito Cuanavale played no small role in unraveling the white regime. Jamaica, however, paid a catastrophic price. After 1975, political violence, a problem Jamaica had faced for many years, increased exponentially. Whole pro-PNP communities in Kingston were burned out, and desperate residents had to relocate to far-flung squatter settlements. The JLP’s forces were better trained and equipped than anything the country had seen before. Soon, though, PNP forces were attempting to match their opponent’s units. Kingston and other urban centers spiraled into a violent era, culminating in some eight hundred deaths during the long 1980 election period. This violence, which Manley’s supporters largely reacted to rather than instigated, contributed to the widespread sentiment that the PNP could not manage the country. This, more than any other factor, gave an overwhelming victory to Manley’s opponent Edward Seaga, the right-wing, pro-American leader of the JLP. Widespread violence, however, was only one dimension of the PNP’s decline. Four years previously, Manley had won the 1976 elections with an increased mandate but immediately faced an economic crisis. Without any domestic energy reserves, Jamaica experienced growing deficits following the 1973 OPEC-led increase in petroleum prices. Bauxite and alumina prices also declined significantly in this period, and tourism, the other critical source of revenue, collapsed as American travelers chose not to visit Jamaica, which was being portrayed — with some accuracy — as increasingly violent. When coupled with the government’s attempts to address historical social inequity through deficit financing, this produced unsustainable fiscal and foreign exchange imbalances. Manley now had two alternatives: he could try to disengage from the Western financial system and initiate some untried relationship with the socialist bloc and non-aligned states, or he could enter into a loan agreement with the International Monetary Fund. After some hesitation and an attempt to consult the Jamaican people through a popular planning initiative, Manley chose the IMF. A series of agreements, increasingly austere, tore into the few advances that poor and working people had made, contributing to Manley’s declining popularity and shifting the balance of forces nationally. A decade later, after Seaga’s pro-capitalist government failed to make any serious impact on unemployment or the country’s development, Manley’s PNP came back to power. Its moderated platform now sought to operate well within the confines of the Washington consensus. Manley remained in office for only two years, yielding to an illness from which he would never fully recover. Assessments of Manley’s legacy remain sharply divided in the Caribbean, particularly in his home nation. On the one hand, many members of the country’s middle- and upper-classes recall the seventies as a time of violence, bitterness, and open class hatred aimed in their direction. They point to the budget deficits, negative growth rates, and massive emigration of the educated classes as evidence of a failed regime and a best-forgotten period of Jamaica’s history. On the other hand, many others remember the seventies as a time when the poor and black majority made real material advances and had a voice in national affairs. This took place outside of politics as well — Jamaica’s popular music, amplified by artists like Bob Marley, Peter Tosh, Dennis Brown, and Bunny Wailer, called for black liberation and became a megaphone for global popular resistance. Never straying from parliamentary forms of political engagement, Manley still fought for substantial social and economic interventions to level the playing field for the poor. He improved access to education, food, housing, and health care; he gave Jamaica’s working class a living wage. Recognizing the international economy’s structural inequalities, he campaigned — with significant support from other nations in the Caribbean, Africa, and the Non-Aligned Movement — for greater coordination and cooperation among primary producer nations, for greater transparency and accountability between international financial institutions and the Global South, and for new south-to-south financial clusters, all grouped under his vision of a new international economic order. In these and many other respects, Manley was well ahead of his time. Indeed, his critique of international capital, captured in Up the Down Escalator and rooted in his firsthand experience of IMF austerity programs on Jamaica, has been largely vindicated by contemporary analyses — some from within the IMF and World Bank themselves — that conclude that these programs seldom, if ever, achieve their stated goals. A harsh dose of austerity, in marginal economies, shifts resources from the poor to the wealthy without spurring long-term growth and development. The Washington consensus’s entire intellectual edifice, built around minimizing state intervention and creating free markets, has crumbled since the 2008 economic crisis. The collapse of financial markets thoroughly dulled neoliberalism’s cutting edge, yet the policies of deregulation and structural adjustment live on in the absence of a compelling vision for building a social, equal, and productive world economy. Into the vacuum created by these economic paradigms’ continual failure, the far right, exemplified by Trumpism and the Brexiteers, has entered and taken up residence. Some forty years ago, Michael Manley sought to critically resist an earlier version of this entrenched and hierarchical economic order. He may have failed, but his efforts, both practical and theoretical, provide templates for new rounds of resistance. Brian Meeks is chair of Africana studies at Brown University.